Early in March, 2014, I met with the owner of the slides, viewed them, and talked to him about his plans. (Actually, I viewed digital reproductions of the slides.) Here’s a brief status report. The owner repeated the basic story as described in Anthony Bragalia’s article, with more specific detail, such as dates and locations. The owner affirmed that it is his intent to present the slides and their story to the public in a non-sensationialistic forum, after he has satisfied himself as to their authenticity. He feels he is nearing the end of that phase. At least one of the slides has had the cardboard sleeve sliced open to read the film edge code. The 2 subject photos appear to be a small subset of a large collection of photos of personal interest to Bernerd Ray and his wife. The larger collection of photos (perhaps 50 or more) appear to show places and events the couple visited in the time frame approximately 1945 to 1952. The owner is convinced that when analysis is complete, the slides will be shown to have originated sometime before 1949. 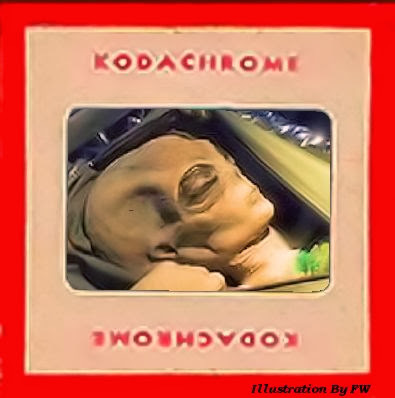 ROSWELL UFO CRASH: New Evidence Concerning ‘Photographs’ of Alien Bodies Revealed! After all this time just wondering why it hasn't been shown yet or was it. Aliens don't exist. If they did, they would have visited us by now and not conveniently land in the US near a military base. Funny, They're saying humans don't exist, if they did we'd have visited them by now! Though keeping the investigation and the slides private and out of reach for the public (i.e. the rest of us) probably is for the best for the time being, get in contact with Travis Walton while he is still alive and well and show him the pictures.